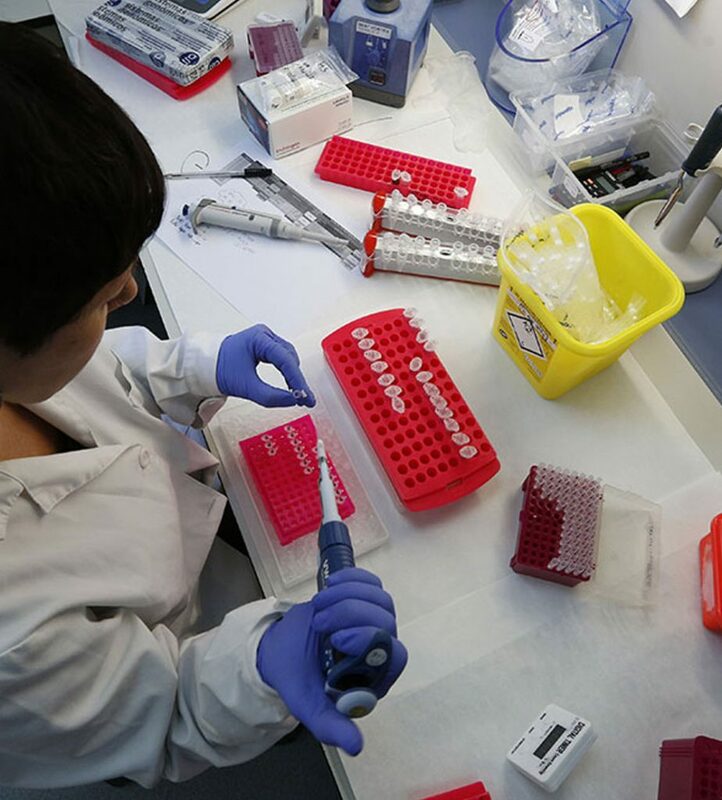 With the aim of contributing toward the foetus’ well-being and reducing stress for patients due to the health of their baby-to-be, at Sistemas Genómicos we carry out genetic studies during the prenatal stage. 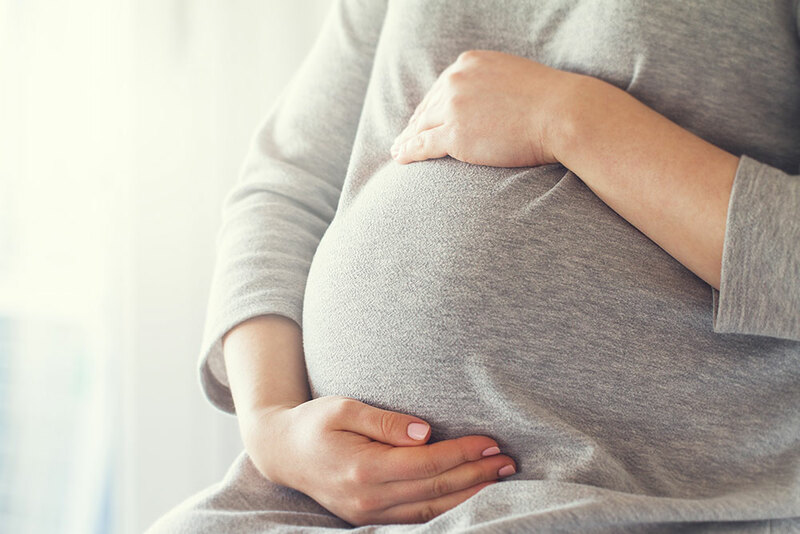 Our prenatal genetic screening and diagnosis services study chromosome abnormalities in the foetus, such as aneuploidies, translocations, large-scale rearrangements (inversions, duplications and deletions) associated with known syndroms and genomic disorders. High-quality reproductive genetics diagnosis. We provide integrated solutions that contribute towards precision diagnosis and help to reduce stress for your patient. Reproductive genetics consulting. 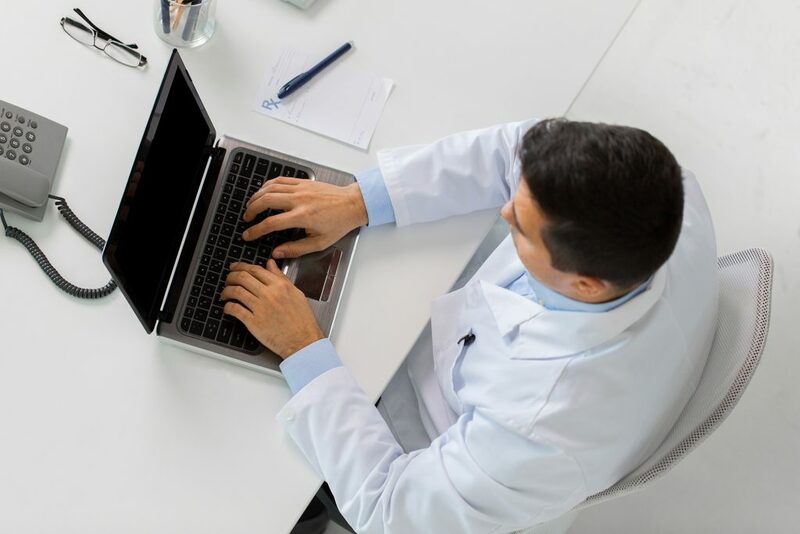 Advice on the best study and diagnosis technique for your patient, as well as the best option for reproduction. Cutting-edge cytogenics. 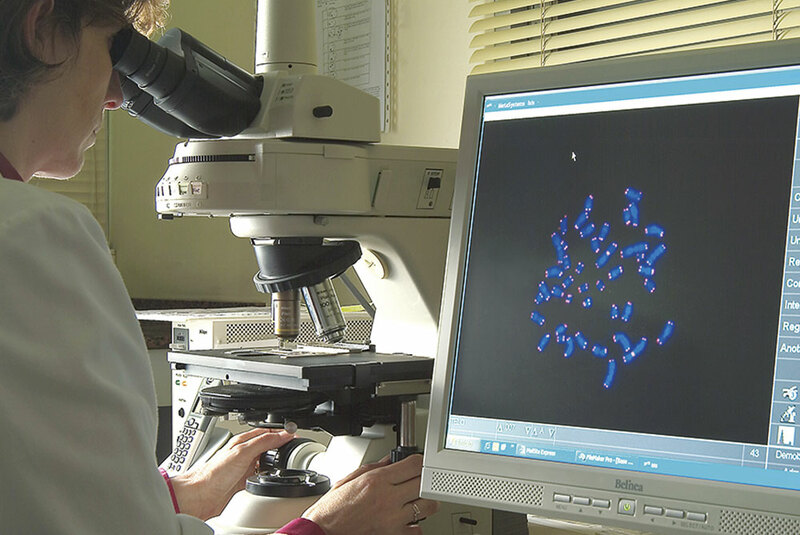 We are experts in applying and combining cutting-edge genetic techniques applied to diagnosis. Genetic Clinical Consulting for Professionals. We bring together genetic and medical criteria to help you before, during and after the genetic study on your patient. 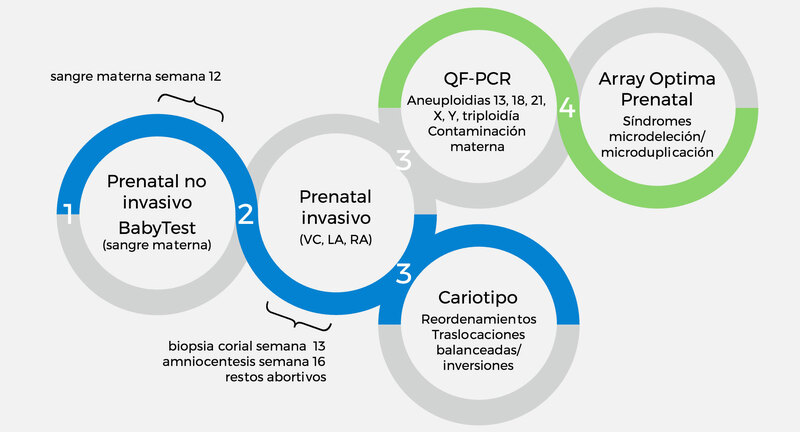 Anomalies from ultrasound scans, biochemical screening in the first trimester with a medium or high risk or NIPT with the detection of an aneuploidy or a non-conclusive result. Also for the remains from miscarriages.